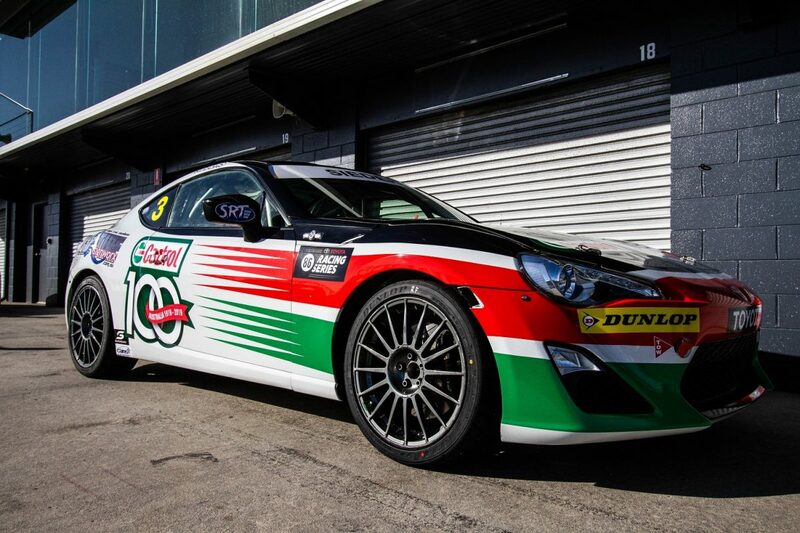 David Sieders will carry Castrol’s famous ‘sawtooth’ livery in this year’s Toyota 86 Racing Series. The look was made famous across a variety of cars in the 1990s, particularly the Perkins Engineering Commodores and also Tony Longhurst Falcons. It has reappeared occasionally in recent years, including a full Super2 season on Alex Rullo’s Lucas Dumbrell Motorsport Commodore in 2016 and a Kelly Racing Altima in last year’s Supercheap Auto Bathurst 1000. 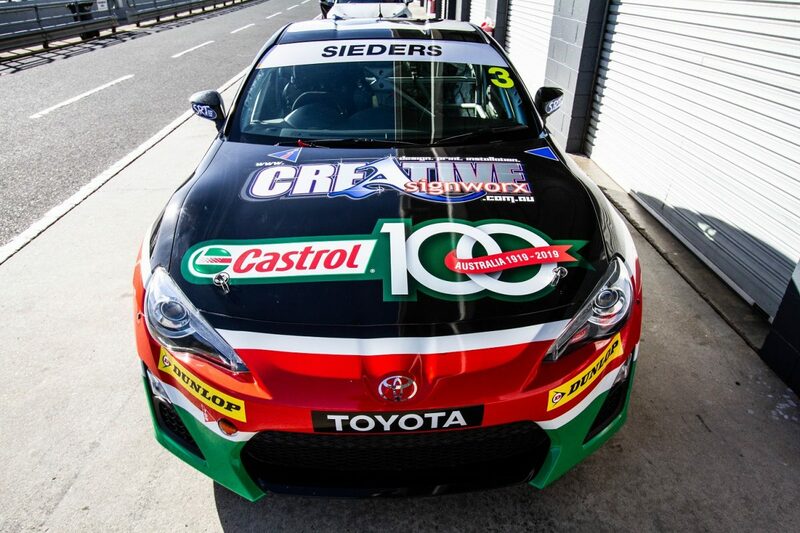 Sieders’ Toyota features branding to mark Castrol’s centenary of Australia/New Zealand operations, which also appeared on the factory Renaults at the Formula 1 Australian Grand Prix. It runs the original sawtooth pattern that was used by Larry Perkins and Russell Ingall up to the VS model, and also has its racing number emblazoned on the roof in the same style as those Commodores. The Castrol-backed #3 86 is one of six Toyotas being run out of the SRT stable this year. The Sydney-based team is also fielding cars for Aaron Borg, John Iafolla, Gerard Maggs, Jaiden Maggs, and Peter Vodanovich. 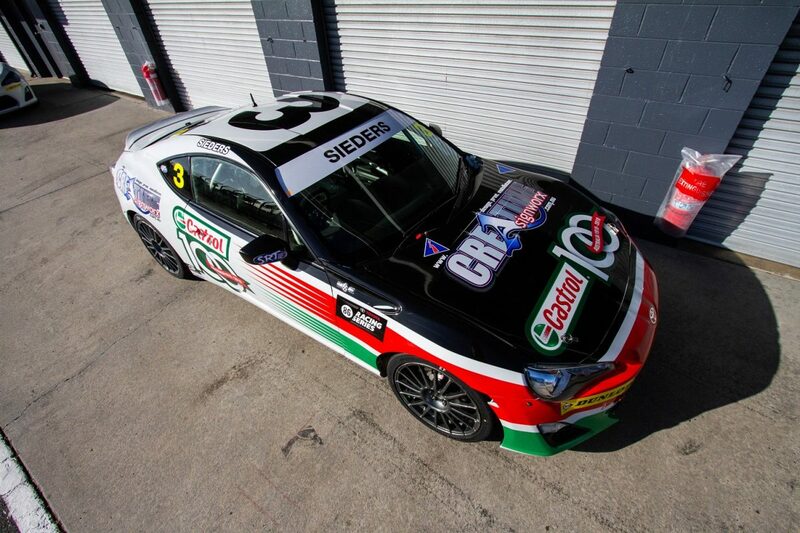 Castrol is also backing one of SRT’s Toyota Hilux SuperUtes as well as the Reece Chapman Aussie Racing Car which, coincidentally, runs the same #25 that Longhurst did in the oil brand’s colours. 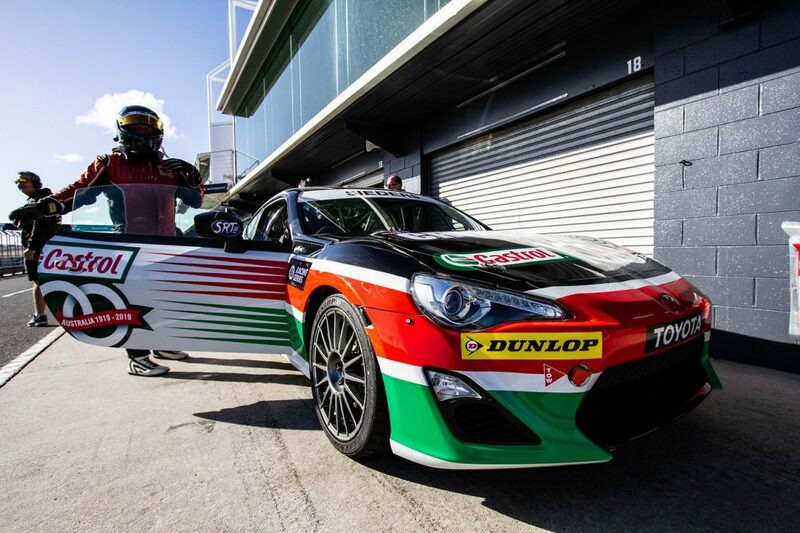 Round 1 of the Toyota 86 Racing Series supports the WD-40 Phillip Island SuperSprint on April 12-14.